Knownhost Review 2019: Is Knownhost a Good Hosting? KnownHost is a web hosting company founded in 2006 in the United States. The vendor is well equipped to offer a complete line of hosting solutions including shared hosting, reseller, VPS, managed dedicated hosting, and WordPress hosting. 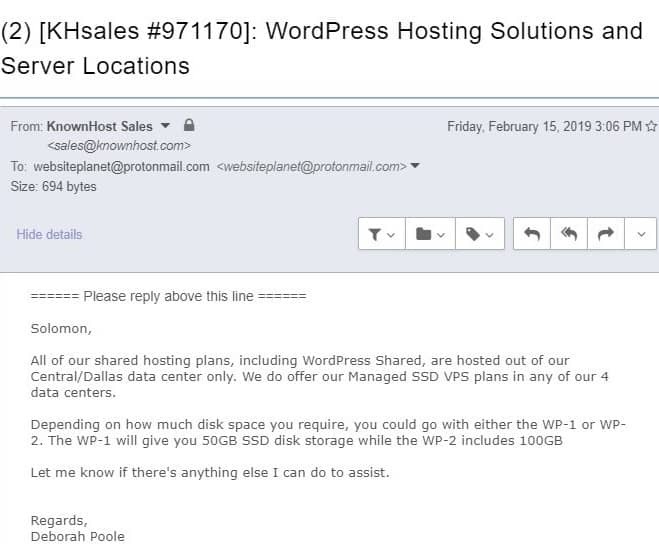 Established in 2006, KnownHost is a U.S. based web hosting vendor that specializes in providing fully managed hosting services to businesses of all sizes with data centers in various locations across the globe, including Seattle, Dallas, Baltimore, and Amsterdam. KnownHost is one of the leading hosting infrastructure providers. It prides itself on providing secure and reliable hosting solutions operated on SSD cloud servers with RAID 10 protection. KnownHost cloud servers, dedicated servers, and fully managed VPS servers all run on SSD drives. 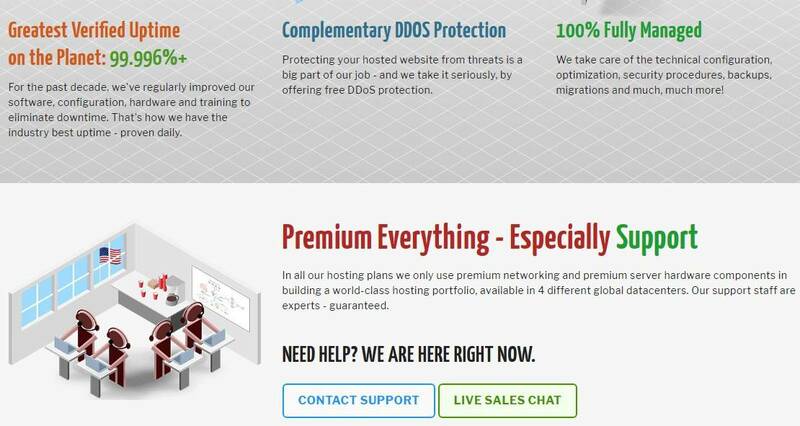 KnownHost hosting servers use isolated containers technology to deliver better security to its clients’ websites. It has optimized every element of its hosting solutions for improved loading speeds of the websites it hosts. This includes employing a range of caching techniques which ensure the servers record top speeds and are better able to absorb peak loads. KnownHost offers an enterprise-grade KVM Cloud VPS Hosting package. The package is a cost-effective substitute for businesses that want flexible and scalable shared, reseller, or even dedicated server solutions. What’s more, this package includes full Kernel control and free DDoS protection. CMS users would be delighted to learn that the vendor’s hosting solutions are specially tuned for top content management systems.The vendor offers free offsite data backups and data restoration points. That said, it insists that the backup services are complementary, thus encouraging its customers to always maintain copies of their data backups. This hosting provider’s control panel enables clients to generate and download website backups. KnownHost has found a way to deliver pocket-friendly hosting plans packed with high quality features with few limitations. The vendor offers flexible billing cycles that include monthly, biannual, annual, and triennial subscriptions. The prices are listed in U.S. dollars. This hosting firm offers its customers free setups and free migration. It also offers free SSL certificates for every one of the domains you host with them. In addition, the hosting provider has a time-tested uptime guarantee of 99.996% and a 30-day money-back guarantee. That said, a number of customers have expressed frustration with the vendor’s failure to keep its word regarding its 100% money back guarantee, no questions asked. Apparently, you will have to answer some questions before the vendor can release your refund. The KnownHost customer service team is available 24/7, and is responsive, polite, and helpful. They sent me a response around eight hours after I sent them a query via the ticketing system. The vendor has a ticketing system, support email, and live chat available for its customers., and also stands out with its remote support system as well as the knowledge base on its website. KnownHost’s wide range of services and features makes it a choice hosting provider for all types of businesses, including startups, WordPress websites, and even e-commerce websites that receive thousands of visitors every day. Its responsive support endears it to many in the U.S. and beyond. Purchase enterprise-grade hosting solutions from Knownhost! Wondering how Knownhost stacks up against other Web Hosting companies? Enter any other Web Hosting company and we will give you a side-by-side comparison.